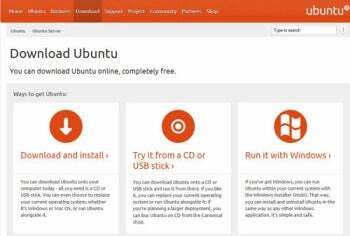 Ubuntu 11.04, or "Natty Narwhal," has been out just a few days, but already it's being billed as possibly the most accessible and user-friendly Linux distribution ever. With its new Unity interface, the open-source operating system mimics what many people are used to in the mobile arena to create a simple, intuitive way to get things done. The stepped-up accessibility isn't the only thing that Natty Narwhal has going for it. Like most Linux distributions, the new Ubuntu offers myriad other benefits for individual and business users as well, including better security, flexibility, and reliability than what you typically find in Windows. And of course, there's Ubuntu's unbeatable price--it's free--as well as its winning total cost of ownership. Convinced yet? It's easy to check out Ubuntu without making a commitment. You can begin by flipping through our Natty Narwhal slideshow for a small taste of what it has to offer. If you'd like to see more, you have many ways to take Natty Narwhal for a test-drive without messing up anything on your computer. As with pretty much all Linux distributions, you can download an .iso image, put it on a CD or a USB stick, and then test it from there without putting any files on your system. The only problem with this method is that it tends to be slower than a real Linux install, and so it could affect your impression. Another option is virtualization through software such as VMware or VirtualBox; for the server version, also consider Canonical's new trial program in the cloud. 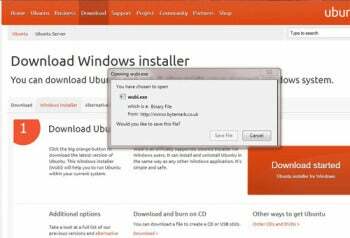 My favorite approach, though, is to use Wubi, which lets you install Ubuntu within Windows, just as you would any other application. If you decide you don't want to keep it, no big deal--just remove it as you would any other package. Ready to meet Natty Narwhal via Wubi? The process is pretty straightforward, but let's walk through it. You have multiple ways to try Ubuntu, including options that don't touch what's currently on your computer. Your first step is to visit the Ubuntu project site and click the Get Ubuntu button. At that point you'll see a screen that looks like the image here. The 'Run it with Windows' option is what you want, because it doesn't change anything about your current Windows installation; all it does is add Ubuntu as a new application. Note that if you did want to install Ubuntu either instead of Windows or in dual-boot fashion, you'd pick the 'Download and install' option. The middle option is for creating a Live CD or USB stick, as noted above. Click the Run it with Windows option. After reading the text under 'Download Ubuntu installer for Windows', click the rectangular, orange Start download button. Assuming that you're in Windows 7, you'll then get a Save File prompt; otherwise you'll probably see a Continue dialog box. The Wubi executable file you download could come from any one of a number of regional and mirror sites. At this point, Wubi.exe should appear in your Downloads folder, and you need only double-click it to get going. 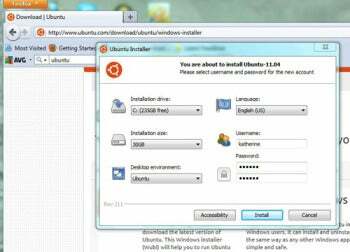 You'll then see a pop-up Ubuntu Installer window that presents a number of choices regarding the installation drive and size, the desktop environment, and the language. It will also ask for a username and password. Though Ubuntu 11.04's installation size is 17GB, you'll want to allow some extra space for your files. I selected 30GB. Once you choose a password and type it in twice, simply click Install, and the program will go to work. Depending on your computer and connections, it could take a while. On my PC the process took about 20 minutes. When installing Ubuntu 11.04 through Wubi, it's a good idea to allow some extra space for your files. After Ubuntu is installed, a prompt will ask you whether to 'Reboot now' or 'Manually reboot later'. I picked the former. Toward the end of the restart process, a black-screened boot menu will appear, asking you to choose which operating system to load. Pick Ubuntu, and you're on your way to discovering what it has to offer. Note that Natty Narwhal will automatically determine whether your computer's hardware can support the multitouch-enabled Unity interface. If it doesn't, it will instead present you with a "classic" desktop environment much like GNOME. It's time to start looking around the OS. Begin customizing, and visit the Ubuntu Software Center to find tools and learn more. Watch out for some key missteps, too; be sure to make Ubuntu 11.0 your own and see how comfortable it feels. I'm betting that eventually you'll decide you don't want to go back to Windows.